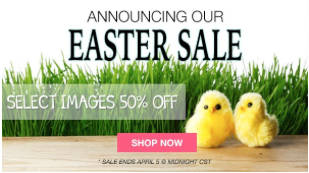 Our theme this month is Spring or Easter. Our designers are showcasing lots of gorgeous projects. If you have arrived from Angela's Blog, then you are in the right place, if not why don’t you start on the From the Heart Stamps blog, so you don’t miss anything. Now head over to Jessica's Blog and see what they have created. Thanks for hopping with us today. The hop will end on Monday, April 6th at 6am EST. Winners will be posted on the From the Heart Stamps Blog on Wednesday, April 8th. Lovely card with great colouring. Very bright and cheerful. Sweet, sweet card! Beautiful coloring of all the fine details and the DP could not be more perfect. Love the texture of the trims, too! That's beautiful. The stitching, lace, pom poms, and the bright colors...gorgeous! Fun and beautiful. Love all the details. Really bright colorful design!! Love the papers and stitching details! 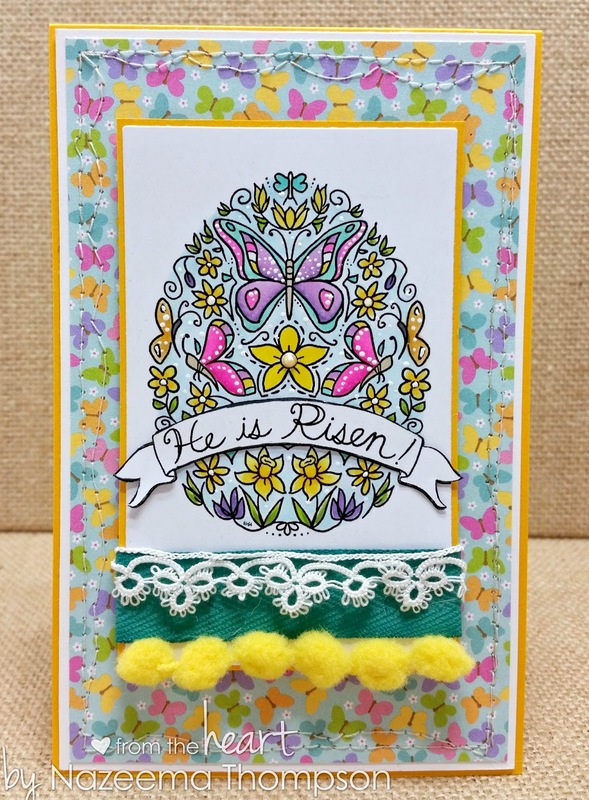 Gorgeous card with so bright spring colors, beautiful. This is gorgeous Calypso! your background papers match perfectly!! Beautiful card! I just colored the same image with similar colors and pearls in the center of some of the flowers. Great minds must think alike! . Love the outside border. Love the fun papers and fun stitching. Great card with great coloring! I wish I would remember the white dots but always forget that nice touch! Happy Easter! This is wonderful! Your coloring is fantastic on that gorgeous image! 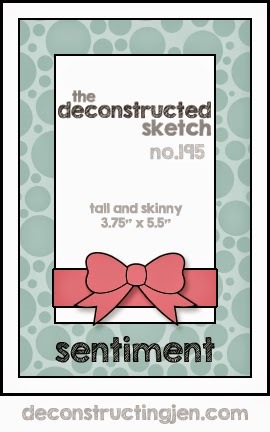 Thanks so much for joining us for this week's Deconstructed Sketch! Fabulous card! LOVE the butterfly paper...awesome coloring! Oh my word! this is so beautiful, love the spring colour palette and the fab layout. Beautiful card, Calypso. 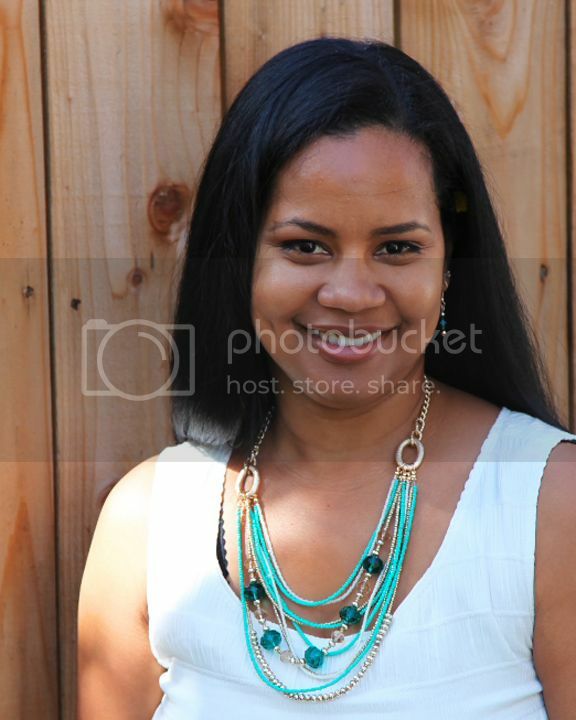 Love this new image ! This is outstanding. 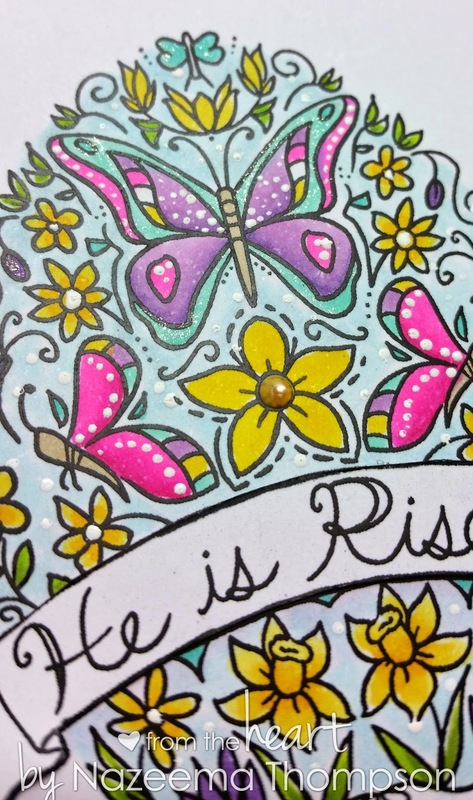 Love your coloring and the addition of the white dots to this beautiful Easter image. Great textures and sewing, too. Happy Easter! Beautifully colored and a great take on the sketch. Love your background paper too. Thanks for the inspiration! Happy Easter! So pretty, love the way you colored this! I like the added details to the image. Also love love the different trims added to the bottom...totally has an Easter feel to it.